Taking a business idea from a kernel of thought to grand openings, in the old model, meant testing a market at the end of the process: sales equated success. The new model shows a different way that turns those steps upside down: test and refine ideas in a community of entrepreneurs before putting up the business sign. How to start up a startup is the main idea behind Alaska Startup Week July 22-30 with nine days of events in Alaskan communities to help speed momentum and opportunities around innovation and entrepreneurship. Fairbanks, Juneau and Anchorage are hosting events — most of them free — that the public can sign up for attending via a Techstars program that keeps track of events: https:// alaska.startupweek.co/#schedule. Startup Week highlights the three priorities and the “Year of Innovation” pipeline developed in the Innovate Alaska efforts, said Juliet Shepherd, tech led development project manager at the Fairbanks Economic Development Corp.
Or, in other words, it begins a year of events meant to let people test drive their business plans. In 2016, Year of Innovation events produced results: 309 new business ideas pitched; 31 developed business ideas presented from the two accelerators (Paths to Prosperity or Spruce Root in Southeast Alaska, and Launch Alaska in Anchorage); 14 startup businesses launched with more than $550,000 in capital investment in Alaska. “These numbers do not represent a complete picture of all new business activity across the state, but it is the first attempt to measure business generation, using lean launch principles, through this new ‘pipeline’ of innovation and startup events,” Shepherd said. Innovate Alaska 2.0 reflects the collaborative efforts of a growing number of economic development organizations across the nation. Businesses and investors statewide come together for the shared goal of diversifying Alaska’s economic base beyond its dependence on oil revenue. 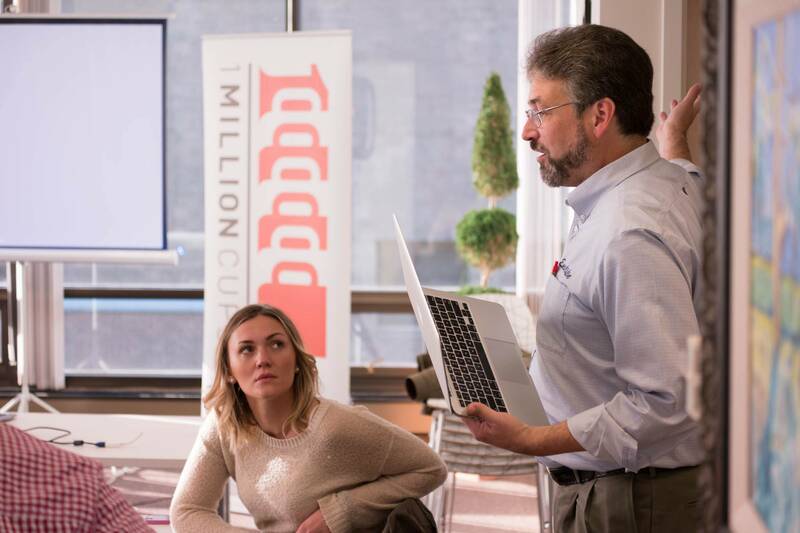 Startup Week got its own beginning when Jon Bittner, now the statewide executive director of the Small Business Development Center, launched it five years ago as Alaska Entrepreneur Week. At that point, it was sponsored through the Anchorage Economic Development Corp.
Ky Holland, assistant professor of business administration management at Alaska Pacific University, and Shepherd took it up in the following years. Holland said it isn’t too late to schedule hosting a workshop or to invite policy planners, investors, entrepreneurs and business experts. This is a first step in testing an idea. The concept works like, well a napkin, where you jot notes about who you are, what are you offering, what are your distinctive competencies? The tool works through key parts of a good early-stage idea using the best practices in entrepreneurship and innovation designed by the Straight Up Business Institute. Two workshops target information for would-be investors. Taught by Holland, one class focuses on corporate strategic investments and syndication of strategic investment in deals. The second one looks at tax issues around investing, and managing losses and gains in new businesses. Meanwhile, in Juneau and Fairbanks workshops are also offered. Among the offerings, Dana Herdon, a communications specialist at the Juneau Economic Development Council, leads a “New and Veteran Entrepreneur Panel” discussion in Juneau on July 27 and a trip to observe innovative operations at Alaska Glacier Seafoods and Taku Smokeries. Fairbanks is offering business tours and a variety of tech and investment workshops. One zooms in on “Making Alaska’s Music Industry Profitable,” on July 29. The Manufacturer of the Year will be announced by the Alaska Department of Commerce, Community and Economic Development’s “Made in Alaska” program at the Make it Monday Chamber Forum noon luncheon July 24 at the Dena’ina Center. Another cornerstone event is the 2017 3-Year Outlook Luncheon hosted by the Anchorage Economic Development Corp. After AEDC President and CEO Bill Popp gives the economic outlook, the event features this year’s guest speaker Abhi Nemani. He is a writer, speaker, organizer and technologist who is currently building EthosLabs, a govtech startup that connects the public sector with entrepreneurs. As Sacramento’s interim chief innovation officer, Nemani developed and launched the city’s landmark $10 million Innovation and Growth Fund to promote entrepreneurship and innovation. Between 2010 and 2014 Nemani helped build, launch and run Code for America, an organization working to advance the priorities of creating healthy, prosperous and safe communities. Nemani’s work has been featured in the New York Times, Government Executive and Forbes. At the end of Startup Week, serious would-be entrepreneurs ideally will be inspired and ready for the next event in the Year of Innovation Calendar, said Shepherd. “We feature 10-13 events each year, with six of the events tried and true,” she said. The seasonal cycle featured the Innovation Summit in Juneau Feb. 15-16, the online Alaska Business Model Competition Feb. 4, the Alaska Business Plan Competition in April, the techy Interior HackaThon in Fairbanks and the fall Arctic Innovation Competition. “You can enter at any point, but it starts with seeding the idea — there’s a total of six that we make a point of highlighting that illustrates a cycle,” Shepherd said. Startup week or Startup Weekend offers immersion into ideation. The traditional business model called for leasing a brick and mortar storefront and selling products or services out the door. The result is a better chance at business successes, which helps an ecosystem of entrepreneurs succeed. Organizer Fauske notes that people may chaff at the often-used “ecosystem” analogy, but there’s a meaning behind it that’s increasingly catching hold as a community of experts help raise next-generation businesses. The traditional business model also saw businesses in hard-edged competition with one another, hardly an environment to see much cooperation. A new phrase is born in today’s ecosystem philosophy: co-operition.